Institute for Nonprofit Practice - Innolect, Inc. | Innolect, Inc. 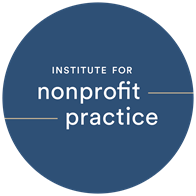 The Institute for Nonprofit Practice located in four sites across New England and serving over 150 leaders annually, works to create a nonprofit sector which is exponentially more effective, connected, and diverse by investing in the development of current and emerging nonprofit leaders. To date, INP has trained 1,000 nonprofit leaders from 400 organizations that vary in size and focus– from small and local to large and international– from arts and the environment to health care and human services. INP has 10 years of experience training current and emerging nonprofit leaders through comprehensive, academically distinguished and multidisciplinary programs. Central to INP’s mission is a focus on diversity, inclusion, and advancing women and people of color in leadership.